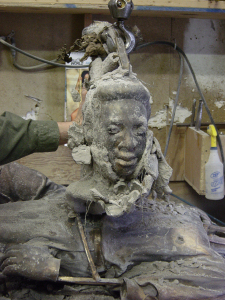 The wax sculpture is cut into parts and dipped into a ceramic slurry and covered in sand and wire mesh in multiple layers to form the ceramic shell for casting. 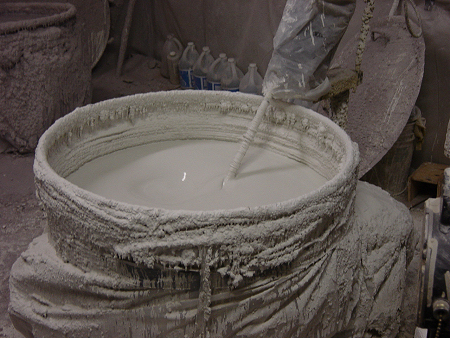 After the ceramic shells have been poured with bronze and allowed to cool, the ceramic shell is broken away revealing the newly cast bronze. 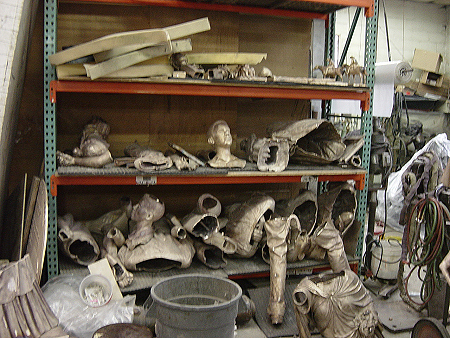 As the sculpture pieces are cast, each piece is stored until all the parts are complete. 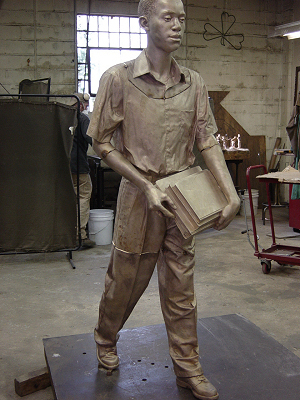 The body parts are assembled for our fist look at one of the completed bronze sculptures. Yes, that is actually metal. If you look closely you can see the seams where the various pieces were tack welded together at this point. 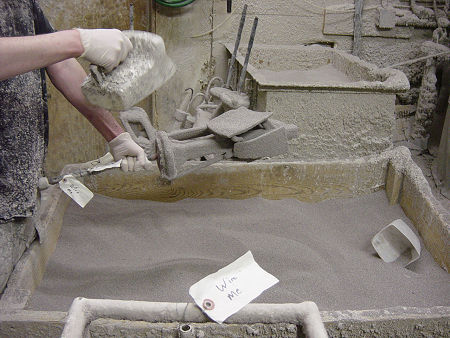 The pieces are welded together and chased to eliminate any seams. 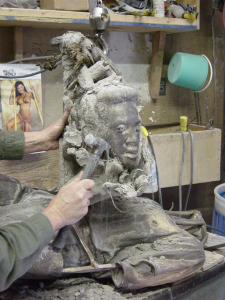 Then the entire bronze sculpture is hand detailed to remove any imperfections. 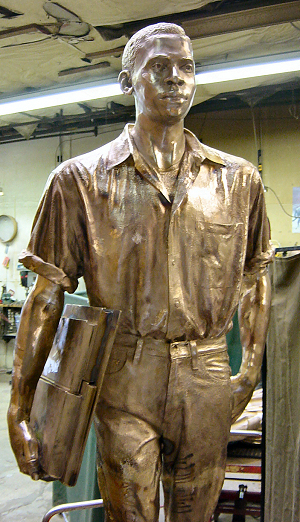 This is what raw bronze metal looks like. 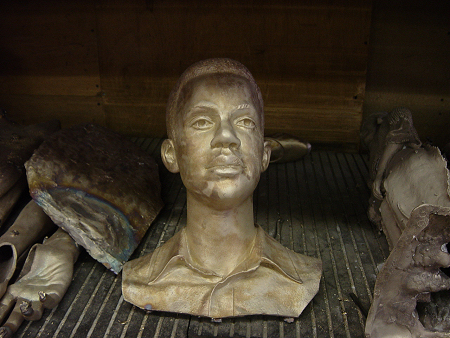 Next the entire sculpture is sandblasted, cleaned and ready for a patina. 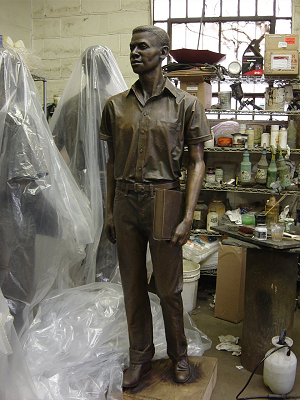 Finally the completed sculpture is given its color known as a patina. 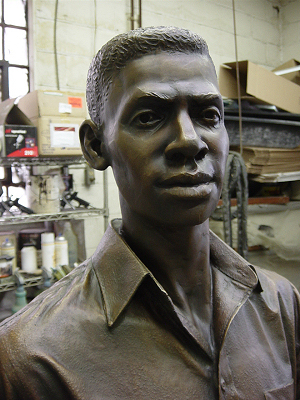 In this sculpture we used a traditional brown patina. 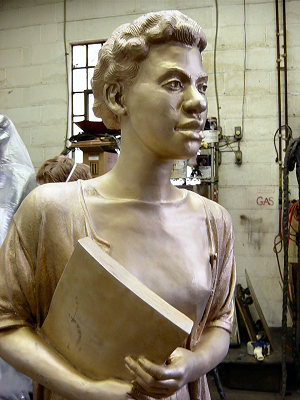 Click next above to see rest of the process or use the chapter links below.